What number can I add to this set so that the standard deviation remains the same? If you want to give it a go, stop reading now and spend a few minutes with a piece of paper. At first glance, this appears pretty trivial problem, but hold on, no it’s not. If we add a number (that’s not the mean), then we change the mean of the set. If we simply add the mean of the numbers, then the standard deviation will not be the same. To keep the standard deviation constant, the mean has to change. There are multiple formulas for describing standard deviation. In words: Find the mean of the set, then for each element find the error from this mean, square it, divide by the number of elements in the set (to find the ‘average’) then take the square root. Electrical engineers might also call this RMS (Root Mean Squared). Using a bit of algebra, we can expand out the deviation formula. This is quite a common practice because, when calculating the standard deviation, we don’t want to have to keep a record of all the data points. As we will see, using this technique we can, instead remembering all the records, simply keep a running total of key summaries and still be able to evaluate the standard deviation (and do it on the fly). A running total of the sum of all the elements in the set. A running total of the sum of the squares of all the elements in the set. 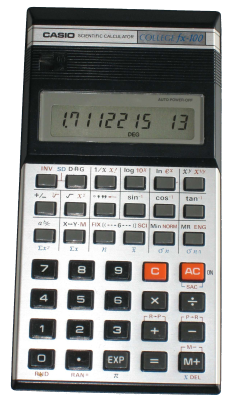 This is how your pocket calculator deals with generating these values when in statistics mode. By simply keeping track of these totals it can generate the mean and standard deviation of an arbitrarily large set of numbers. All those square roots are a pain to deal with so, rather than comparing standard deviations, we can compare the square of these (which is given the name Variance). For our little problem the variance after we add the new number needs to be the same as the variance before. We can equate these, noting N will be different on each side, and that on the right we need to have an additional number, which I’ll call M.
Now that we have this is standard form we can solve. The two solutions results in two possible sets with different means but the same standard deviation. Some things look better with pictures. Here is a plot of the normal distribution for the original three numbers. Note the mean, and the standard deviation. The standard deviation of the original numbers σ = sqr(2/3). The three numbers are depicted by the three red lines. The bell-curve is symmetric and centered around the mean, which is 2. Below is a graph of the solution with addition of the number 2+(2sqr(2)/3) to the set. The mean has moved over, but the standard deviation remains the same. The other solution is plotted below. This is the curve with the addition of 2-(2sqr(2)/3) to the set. If we have a set of numbers and then add a constant (k) to every number, what happens to the mean and standard deviation of the set? Adding a constant k to every element in the set also increases the mean of the set by k. It does not, however, change the standard deviation (which is sort of like a measure of the average deviation from the average), which remains the same. You can visualize this by imagining the curve simply sliding over. If, instead of adding a constant k to every element, we multiply every element by k, what happens to the mean and standard deviation?